Congratulations Billy DeMoss! 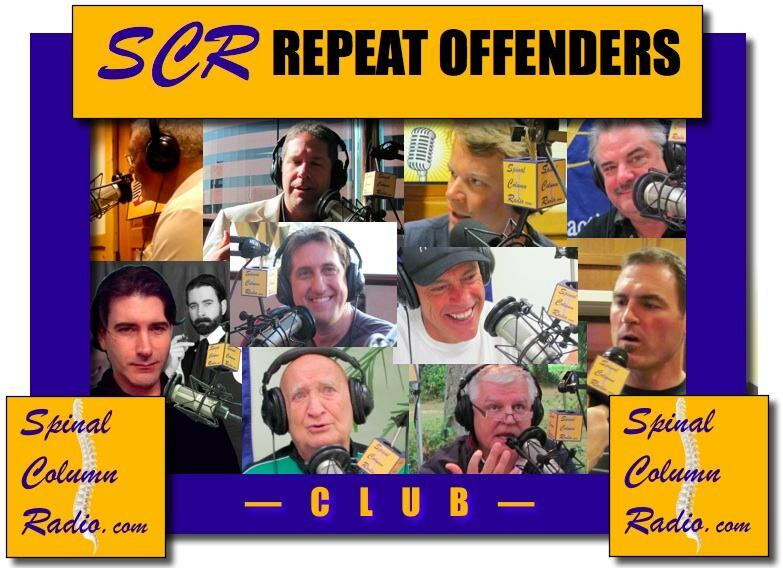 You’re our TOP Repeat Offender on SCR with a whopping 11 interview appearances. Thank you Calvin Smith for your Balimo Chairs sponsorship in 2012 and 2013… and as an added bonus it catapulted you into the Repeat Offenders Club…. on the show 9 times! The Duke! Every time was solid… all 6 of them. Waters… and BJ… were probably on the show the most. But Waters, the man, was on 6 times. Thanks Todd for your contributions. And congratulations on your membership into the Repeat Offenders Club. CWD, Liam Schubel, found himself in our Repeat Offenders Club with 6 appearances on the show. What can I say? Total honor to have Reggie Gold as a 6-time-offender in this club. Fred Schofield, made the club with 5 appearances… but he was mentioned on the show an inordinate amount of times. ChiroFEST’s Paul Reed, made the club with 5 appearances! Brad Glowaki… always delivered solid content. And he did it 5 times…. earning him a spot in the SCR Repeat Offender Club. *Requirements for membership: Interviewing on SCR at least 5 times.